H.Tollofson 93 62 18 410-4X 2nd Toll. Barbara Walters 87 76 126-2X 67 78-1X 434-3X 3rd G.Tr. 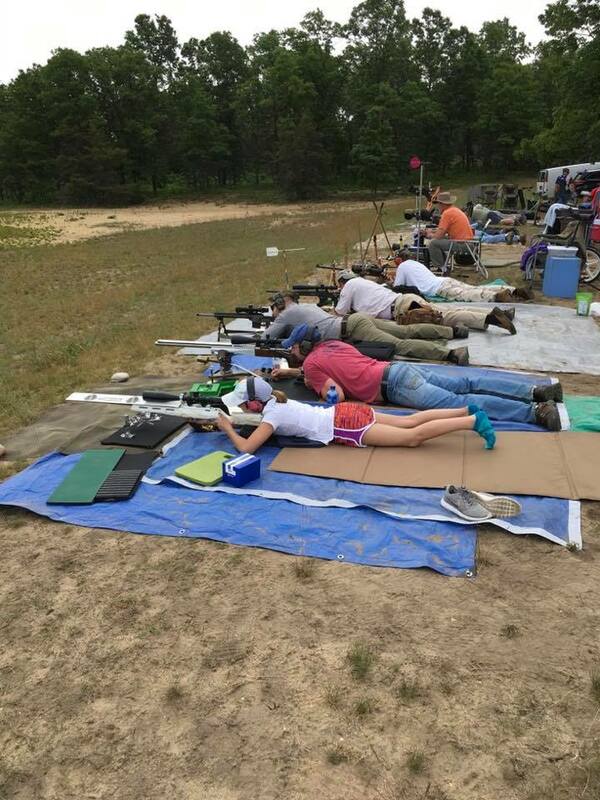 This year we were given very limited use of the range at Camp Grayling. They also jacked up the range fees for the range by 1035% as an added bonus. Chances are we will no longer be able to have long range competitions. We shot side by side with our MRPA Long Range Division for this match to try and be able to better cover the range costs. The organization of it all was spot on and it all worked out quite nicely. Everything ran perfectly making it a nice event. Congratulations again to Paul Behe for winning the Governor's Trophy Ultimate Long Range Match. The winner receives a Letter of Recognition from our Michigan Governor and gets their name on our perpetual Governor's Trophy. Congratulations also to Paul Behe, Bill Bruske, Tina Bruske, Wyatt Bruske and John Wier for each setting (1) new State Record. Congratulations to Husband & Wife, Bill & Tina Bruske. They both set new NRA National Records, 1 each, in Tollofson (Heavy Rifle). The pictures below will get bigger if clicked on. The first is a pic from the 1000 yd firing line with both Long-Range and Black Powder shooters firing together. The second is a pic of (2) of our junior shooters. Left is Wyatt Bruske (13) from the Black Powder Division. Wyatt shot an NRA National Junior Record at age 10 @ 500 yds. He has won numerous NRA Regional Medals, State Championships in Scope and has a slew of MRPA Michigan State Records in Black Powder Target Rifle. Pictured center is his cousin Al Lipski, father of the Junior Long-Range Shooter to the right, Sydnie Lipski (14). Sydnie has also won numerous NRA Medals and State Championships in her Long-Range Division. She has a few Sponsors as well backing her shooting career. This is what it's all about, bringing up kids to be actively involved in the sport we all enjoy.